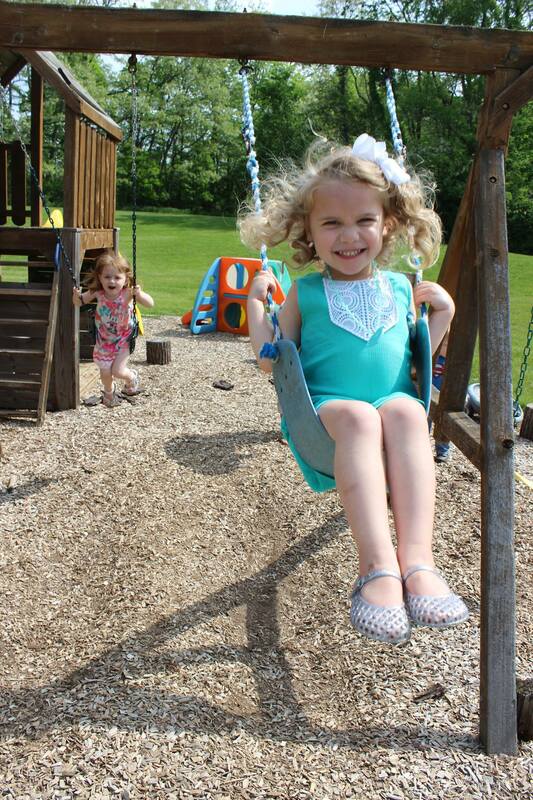 We are a play-based, “co-op” preschool located in Avon, Indiana and serving children ages 2 through Pre-K.
Our mission is to prepare the entire child – both mind and body – to be successful in a more formal educational setting. Play allows children the opportunity to build relationships, to learn to resolve conflicts, and to negotiate and regulate their behaviors, all while maintaining the qualities that make learning so fun – curiosity, creativity, concentration, optimism, and autonomy. The success of our co-op relies heavily on our parents. 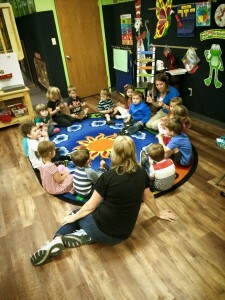 Parents play many roles in a co-op including, but not limited to, regular participant in the classroom, board member and fundraiser. We hope that what you find on these pages will encourage you to join us! 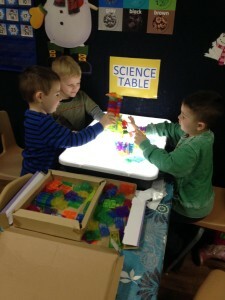 Children building a tower while exploring light and colors at the science table. The playground is one of the favorite spots at Apple House. 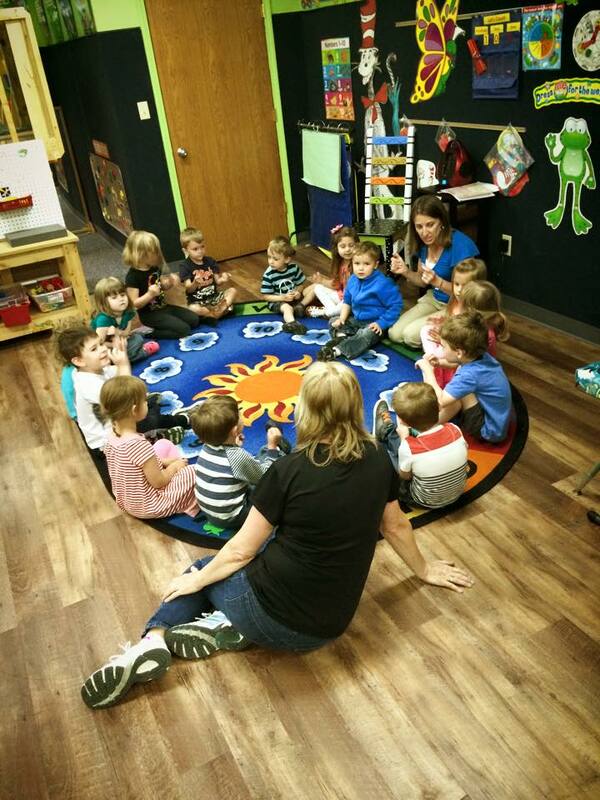 Children have gross motor play time during each class. Ms. Apryl begins the day with a class “meeting” to let students know what activities they will be doing.